Do You Believe Any of These Common Myths About Brain Trauma? 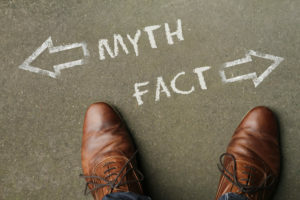 Home » Blog » Do You Believe Any of These Common Myths About Brain Trauma? Dealing with the long-term impact of a brain injury is difficult enough but it can be even more challenging with so many inaccurate beliefs out there. At Law Offices of Michael A. Kahn we work with brain injury victims to help them get the compensation they deserve. In our many years of experience, we have heard many myths and the truth behind them. Keep reading to see examples and the facts. Contact us at (310) 209-1600 if you or a loved one has suffered a brain injury and we will provide a legal case evaluation. This is true – to a point. Yes, if a particular part of your brain is injured then your doctor can likely tell you the category of issues ahead but they cannot tell you the specific problems that will be faced. It is very common for injuries to be either much worse or much less severe than the doctor initially believed them to be. It is understandable that you want to assist your loved one but it is not always helpful. Before you step in to finish their sentence or complete a task for them, consider if they are capable of doing it themselves. If they are, then let them do it. Jumping in may feel helpful to you but to them it often affects their sense of dignity and self-worth. A person who has suffered from a brain injury may behave different, but they have the same needs: To fee that they are loved, to feel useful, to be treated with respect, and to feel needed. While their personality traits may change after an accident, their needs will not. It is true that much of the recovery a person will experience will happen in the first two years. However, this is not a hard and fast cutoff. Every situation is different. Some patients have experienced significant improvement more than two years after the accident. A patient could continue improving for the rest of their life. If your life has been changed by a brain injury, whether your own injury or the injury of a family member, then you may need to speak to a personal injury attorney. At Law Offices of Michael A. Kahn we will listen to your story and offer our best legal advice. If you decide to pursue legal action, and we decide to take your case, then you could be compensated for damages related to the brain injury.